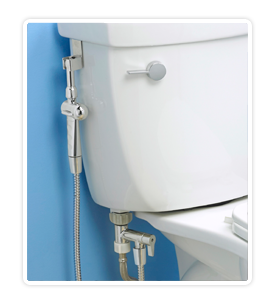 RinseWorks™ is an innovative developer and manufacture of high quality Handheld Bidets / Shattafs , Diaper Sprayers, and specialty plumbing products. With over 24 years experience in manufacturing specialty plumbing products, RinseWorks™ offers the highest quality and innovative products on the market. All of RinseWorks™ products are made, assembled, tested and packaged in the USA with domestic & global components. 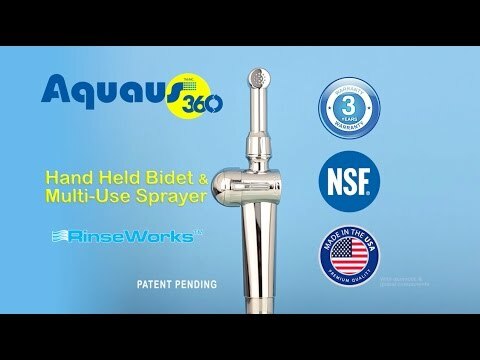 The new Aquaus 360° allows you to easily connect a hand held Bidet / Shattaf, Diaper Sprayer to Toilets, Faucets and Showers for a warm and cool water Bidet / Diaper Sprayer at an affordable price, without tools or a plumber. The New!! Patented, Aquaus 360° is the most user-friendly and comfortable to hold & maneuver Hand Held Bidet / Shattaf, Diaper Sprayer and Multi-Use Spray ever made. What makes the Aquaus 360° unique is the dual thumb pressure controls on both sides of the sprayer. Dual thumb controls on the sprayer combined with the easy turn ceramic seals make adjusting the spray pressure very ease allowing you to easily and neatly rinse your front and back bottom areas while comfortably sitting on the toilet. No other type Bidet offers you an easier way of rinsing your front and back bottom areas as the Aquaus 360°. 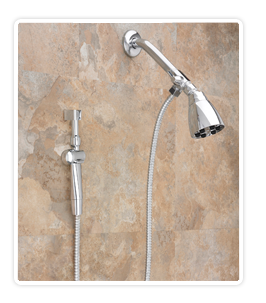 Custom designed faucet, shower, and commode adapters allow you to add a Bidet or Multi-Use Spray Wand to any bathroom at an affordable price. Faucet and shower connections provide a warm water handheld bidet and the toilet connection provides a cool water hand held bidet. Rinsing with tap water, even in the winter time is no problem because the Aquaus 360° small size spray pattern only wets a small area on your bottoms areas and rinses you squeaky clean in only a few seconds, which is actually very refreshing. Cleaning with fresh running water is the most soothing and gentle way to remove germs and bacteria from your sensitive skin areas instead of using rough and abrasive tissue paper. Using a bidet also reduces toilet paper use by 80%, which is an easy way to Go Green and save money. The Aquaus 360° handheld Bidet is also perfect for rinsing Cloth Diaper, because the spray pattern fans out to the perfect size for rinsing messy diapers. The perfect size spray pattern combined with easy thumb pressure control makes rinsing messy diapers quick and easy. Spray pressure can be set to any level while rinsing, making the sprayer very comfortable to hold and maneuver. 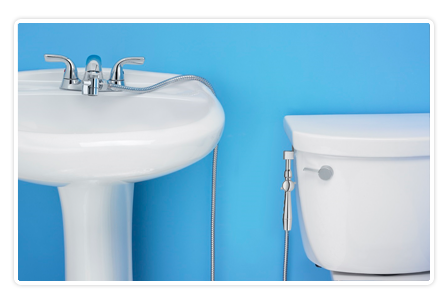 Installing an Aquaus Bidet in all the bathrooms of homes with a septic tank can reduce toilet paper use by 80%, resulting in less flushing and less times the septic tank needs to be cleaned out. The Handheld Bidet, Diaper Sprayer, and Shattaf are not only the Ultimate Bathroom Accessory for personal hygiene, it is also great for many other rinsing and cleaning jobs around your work and home. Aquaus Sprayers are great for utility and laundry room sinks, bathroom cleaning, small pet showers, boat and RV bathrooms, bed pans, potty seat bowls and many more uses, especially if used with the Aquaus SprayMate.